Research by Prof. Wang and colleagues shows that the nanoscale structure of baleen’s intermediate filaments and mineral crystals, which are embedded in an amorphous matrix, increases its stiffness and strength. Furthermore, microscale tubular lamellae control the direction of crack propagation in case of fracture, and buckle and shear under compression. In addition, baleen’s sandwich-tubular structure boosts flexural stiffness and strength with a favorable weight saving. Prof. Wang said it is “amazing and exciting” to study baleen from a material engineering perspective. 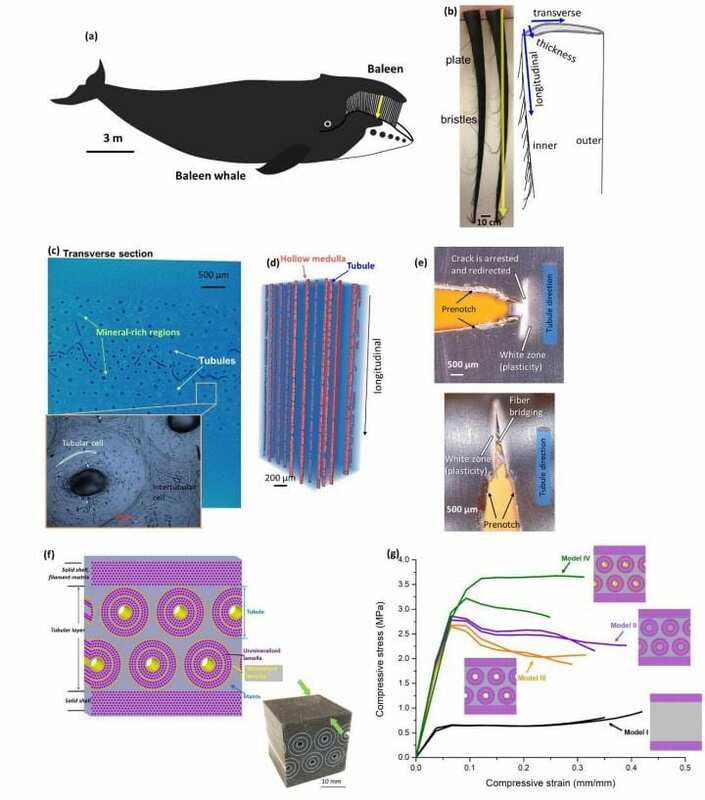 Wang emphasized that new findings in material design related to baleen can help achieve the “ultimate goal” of developing advanced engineered materials.